Core cutting or concrete coring is the process of drilling a large hole in concrete. With this, you can make precisely dimensioned holes in concrete walls, floors or slabs or any other structure that requires the creation of such an opening. Most concrete cutting companies offer this as a basic service and will have the specialised diamond tipped core cutters that can easily undertake such jobs. Once the concrete has been laid it is necessary to create circular openings so that there are spaces for ducts, cables and other utilities. These will be used in the installation of phone lines, plumbing, and electrical wiring. Openings are also required to create ducts from climate control or other needs. These needed spaces can be made without compromising the structure itself. Drilling can be done on any hard surface, not necessarily concrete, and to any required depth. Core drilling can make holes from three-fourths of an inch, up to about six feet in diameter. Depths can reach sixty feet. When a hole is made, a solid core is removed from the structure. This shows that the concrete does not get pulverised and the hole is made neatly. This undisturbed core of concrete has also been used by engineers to test the strength and soundness of any concrete structure. These cutters are made from high strength steel that has carbide or diamond tips along the circular edges of a hollow or tubular drill bit. The drill bit to be used depends on the size of the hole you need. Core drilling machines require a lot of power and most of the equipment uses electricity, hydraulic or air compressors. Machines that have adjustable speeds are the most versatile and make the work that much simpler and easier. You can get equipment that is mounted on stands and may use a vacuum to grip a floor and retain the drill in position. If the drilling has to be done in walls, you need to secure the drilling stand with proper anchors that can take the strain of the equipment and drilling vibrations. The spot where you require the opening must be clearly marked so that you will not hit rebars or conduits within the concrete. Start drilling slowly without exerting any pressure so that the drill bit cuts the path you require it to follow. Once this is correctly determined, you can increase pressure and increase the speed of drilling. You should check the correctness of the alignment at various intervals till the final depth is reached. If you have to drill through the thickness of the concrete the core will come out along with the drill bit. You may require a hammer or other means to remove the core from the drill bit. 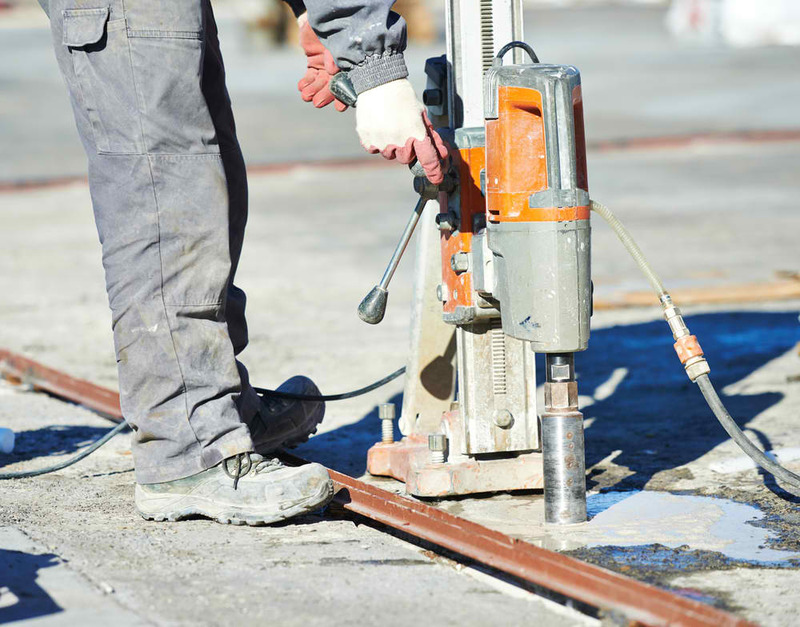 Given these advantages, keep in mind concrete coring on your next construction project.